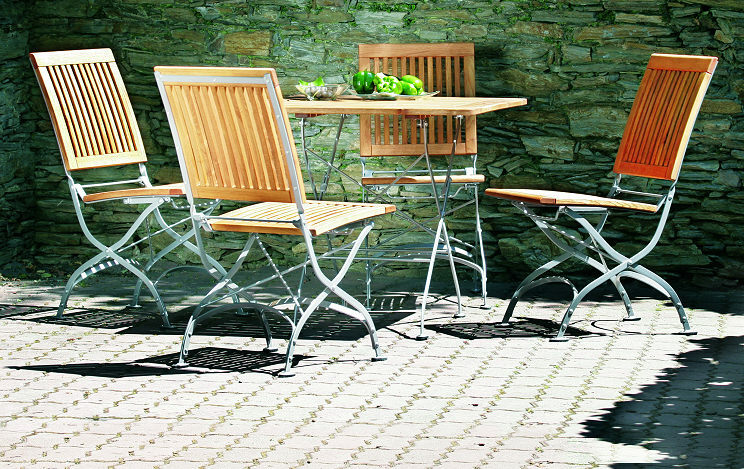 Manufactured with precision, our dining set ELAINE is both eye-catching and practical. Foldable, designed to be functional and reliable through conscious choice of materials: robinia and powder coated steel. ELAINE chairs can be combined with either of the tables: 160x80 or 80x80.